Can I drink alcohol when taking "Glycine"
Which is better - glycine or Afobazol? "Glycine" is a common medicine that due to its effect able to establish the metabolism, reduce inflammation and improve brain function. "Glycine" greatly reduces aggression and improves sleep. Useful "Glycine" and with the admission of alcohol. How to stop drinking "Yarinu"
Despite the fact that most of the drugs are not compatible with alcohol, "Glycine" in its action is much different. Drug treatment used "Glycine" in the treatment of chronic alcoholism and the aftermath of the long use of alcohol. Medicine helps to bring man from a condition of alcoholic intoxication and to counteract the booze. Once in the blood, the drug promotes excretion of alcohol from human blood by accelerating metabolism and metabolism. "Glycine" is also slightly reduces the effects of alcohol on the body, making intoxication a slower. Thus, the medicine is completely compatible with alcohol. 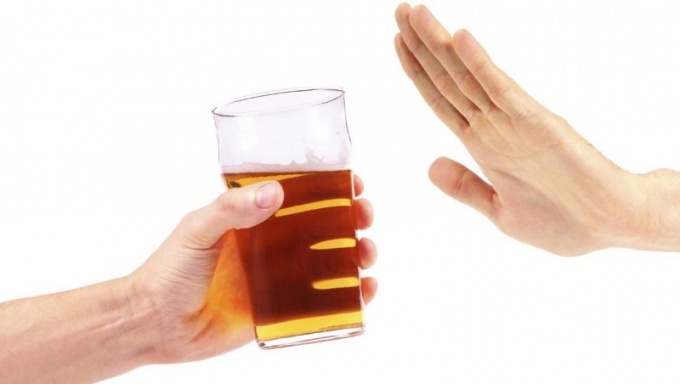 However you should not take together alcohol and drug in that period of time when you are trying to get rid of the dependence, since the use of "Glycine" will not be justified when the consumption of large doses of alcohol. "Glycine" is used for getting rid of a hangover. There are medical studies showing that taking 2 pills of the medication significantly improves the General condition. Some doctors also suggest to take 1 tablet of the drug every hour of the feast, because the drug helps to protect brain cells from the negative effects of alcohol. Remember, however, that the excessive number of tablets may cause the opposite effect, which would only worsen the condition and increase intoxication, as large doses of "Glycine" has a mild narcotic effect, which together with alcohol gives an undesirable effect. In addition, the drug normalizes sleep and is useful in recovering against all kinds of injuries. The use of drugs is oral. Glycine pills dissolve under the tongue or in the cheek. When dealing with a hangover it is recommended to use the drug doses: 2 tablets per hour, not to exceed 4 doses per day. Increasing the dose will trigger an increase in the number of acetic acid and ammonia in the body, which will have a severe impact on an already poisoned body. The effect of the drug occurs rather slowly, and it will not work immediately to get rid of the symptoms of intoxication. At the conclusion of the binge "Glycine" is only part of a comprehensive treatment, which should unfold with the use of drugs specifically aimed at treating the effects of alcohol. "Glycine" can be found in the ear, jellied fish aspic. Sometimes the "Glycine" is part of the jelly or marmalade. Thus, do not have to buy pills to get the desired portion of the drug.